Wine of Italy. 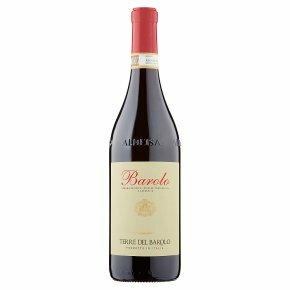 This famous wine from Piedmont is made from the noble Nebbiolo grape and has been matured in oak casks for 18 months. It has a garnet-red colour with orange nuances and a complex aroma of wild berries, raspberries and violets. The oak-aging imparts a tobacco, woody note and the finish is smooth yet spicy with pronounced tannins. Decant before serving at room temperature to accompany grilled meats, game or mature cheese.